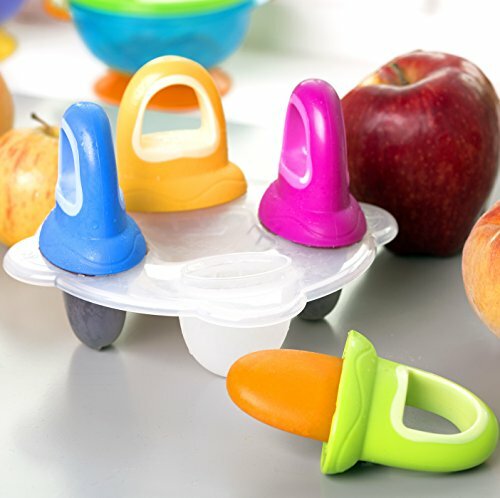 Nuby’s Fruitsicles are great for making your baby fruitsicles at home. Perfectly shaped for small hands and the clever design catches any drips. Perfect for fresh homemade puree fruitsicles, they can also be used for teething babies to help soothe sore gums. Each pack includes 4 moulds with handles and a Freezer tray.4 x ice lolly moulds with handles and freezer tray. Clever design fits perfectly in baby’s small hands and catches any drips as it melts.